Farmhouse style is one of the sweetest and the most inviting as its traditionalism makes any space super cozy. Wanna know how to create such a bedroom? Choose the color scheme you like: calm and pastel or, on the contrary, bright and cheerful. Rustic and shabby chic furniture will be the base of your décor; you can also add some industrial pieces or decorations – they’ll look good. To give your bedroom that special traditional rustic look, add natural and maybe rough wood and woven items. For French farmhouse style go for refined vintage furniture and light textiles. 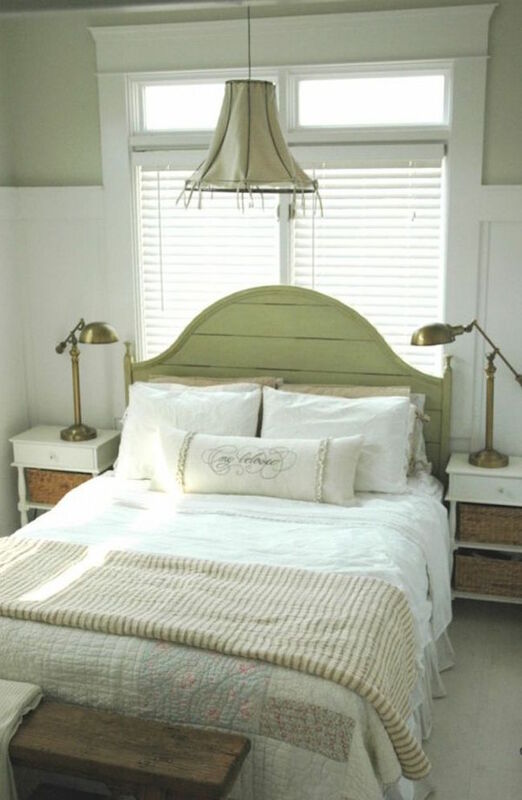 Look at the ideas below and get inspired for creating a wonderful farmhouse bedroom!